Guests including residents and their families, members of the community, politicians, builders and staff were in attendance. Keppel Turnour and Lance Woodhouse turn the first sod. The Giving Tree fundraiser will help furnish the new development. CEO of Shepparton Villages Kerri Rivett and Member for Murray Damian Drum. 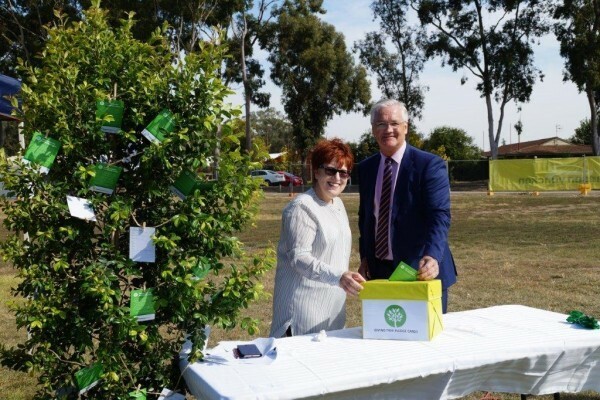 With construction under way on the site at Chas Johnson Reserve this month, guests including residents and their families, members of the community, politicians, builders and staff applauded as the official sod turning marked a new chapter in the Shepparton Villages story. It was fitting that Keppel Turnour was one of those to commemorate the occasion – it was his dream in 1963 that led to the Rotary Club of Shepparton taking on the project to start the original Shepparton Villages. 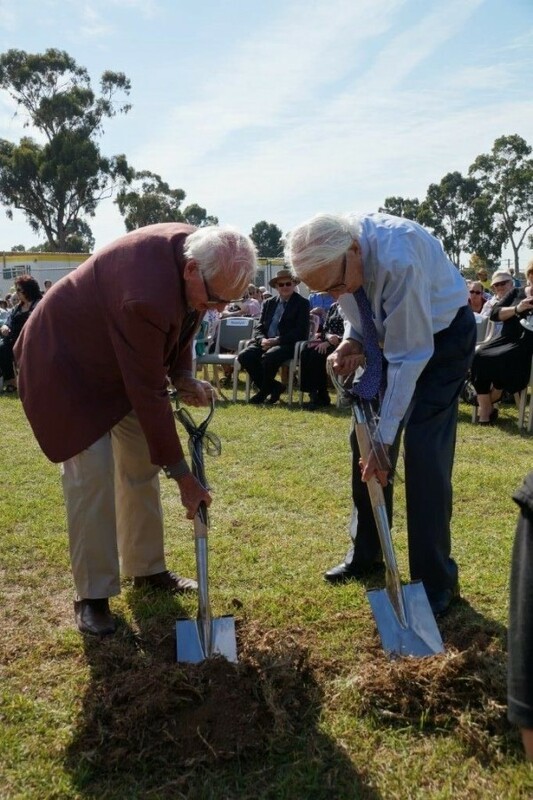 When the first sod was turned on the original site at Tarcoola in 1971, Mr Turnour was overseas on Rotary business and his late wife Helen did the honors. CEO of Shepparton Villages Kerri Rivett said it was a privilege to have Mr Turnour and Mr Woodhouse mark the occasion given their immense contribution to not only Shepparton Villages but to the Goulburn Valley community over the years. “Today is a big day for us, this new building will set a new benchmark for residential care in the region but most importantly ensure the most vulnerable in our community, the aged, can have a home that is bright, modern and local. It is a credit to the founding fathers that we are in a position today to be able to expand to meet the growing demand for quality aged care in the greater Shepparton region,” Ms Rivett said. Community contribution will be required to assist with the purchasing of all the comforts of home including much needed equipment and beds to ensure the 120 residents have the very best care and comfort. 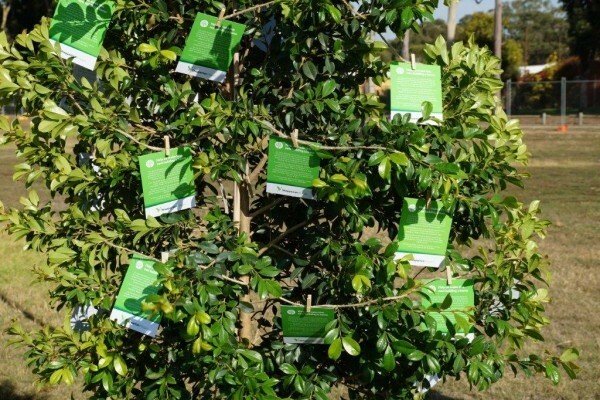 The Giving Tree allows individuals, community groups or corporate organisations to make one off donations, or a pledge over several years to support the project. The Giving Tree unveiled today will be planted as part of the garden once the building is completed as a symbol of the community contribution that helped grow the project form the outset. Building Contractors Hansen Yuncken won the tender for the construction and have committed to sourcing the majority of contractors for the project from the Shepparton and district area. will be employed to service the new facility once completed. Shepparton Villages Board President Merushe Asim said this was a significant project for Shepparton, demonstrating an ongoing commitment to the region. The new development – yet to be named – will be completed by mid 2018.